The idea of spending money in January straight after the holidays may seem like a stretch. But when you don’t have the budget to dive deep into marketing or building a great website for your business, it can get extremely challenging to go about doing any marketing for your business. So, what do you do with your domain name in the meantime? To help you better deal with this dilemma, we’ve got some great ideas on how you can redirect your awesome domain name while you’re waiting for your amazing website to go live. You had an idea, ran to your computer, bought an ideal domain name… and then did nothing with it. You struggled to make the website you envisioned and couldn’t afford to hire anyone. Now what? Solution! Your domain name doesn’t always need to resolve to a website. Let’s say you’re a makeup artist and you are always taking pictures of your work. If you don’t already share these to Instagram, now is the time to start! Post your portfolio and forward your domain name to your Instagram account until you’re ready for a full website. You have piles of content sitting, ever so uselessly, on your desktop. No one, except you, has read your content and it’s slowly collecting virtual dust and losing relevance as more time passes. Solution! Content is king, but your content kind of needs to live somewhere online to make an actual impact. Pasting your content into Medium or LinkedIn is super easy. You can share authored content to either of these channels for free and start building your brand. You can use .SPACE or .PRESS or .ONLINE domains to redirect to your blog page. Forward it along to these channels and start sharing your content on social media. Maybe you have a decent following on Twitch.TV and you want to take your streaming brand to the next level by building out a website, social channels, and increasing your following so you can start sourcing sponsorships. However, this is a challenging and time-consuming process and so you haven’t been able to do justice in your efforts. Solution! You have your domain name ready, so don’t be afraid to forward your domain to your Twitch.TV or any other streaming channel. Craft a PowerPoint deck to send to potential sponsors of information that discusses your streaming business idea and highlights some numbers surrounding your account. If you get some bites, use that sponsorship money to build out the branding website you always wanted. 2018 was going to be your year. You were finally going to secure the career of your dreams. You had it all planned out: a beautiful website that showed off your fun side and your entire career path. You bought a peppy .FUN domain name and… now it’s 2019. Solution! Don’t let that fun domain name go to waste. Forward your domain name to your LinkedIn profile or to a place where your resume is publicly displayed. This will provide an easy link for potential employers to click through and view information about you. 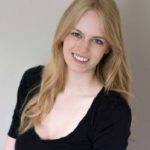 By Samantha Lloyd There is a recent trend of parents quickly snatching up the email address and domain name of their newborn baby. There is no doubt that future generations will be forced to rely on stuffing numbers on the end of their email addresses, or resigning to owning a multi-word domain name, and that all the common names are probably taken by now. You have hours of video footage teaching people how to DIY every aspect of their life. Despite this, you’ve never been able to DIY your own website. You had wanted to grow an email list by making your video content only accessible to those who have signed up for your platform. Unsure of how to move forward, your videos have been playing for only yourself. Solution! Upload all that video footage to YouTube or to an educational platform. Make some money off the advertisement revenue and build a brand and audience. Forward your .SPACE or .ONLINE domain name to your YouTube channel and when you’re finally ready to launch your website, your followers will be sure to check it out. Tech conferences continue to grow in popularity. You wanted to launch one. You have it all planned out: an incredible tech-focused event featuring prominent speakers, industry thought-leaders, and awesome sponsors. You have everyone waiting and ready to go. You need to sell tickets, but your website is lacking. It takes a lot to set up a proper website to sell tickets and issue email reminders. You bought the .TECH domain name already, but now you feel stuck. Solution! Put your event on one of the popular ticket-selling websites, like MeetUp or Eventbrite, and forward your .TECH domain name to that location. Those Eventbrite links can get lengthy, so this option also makes your ticket buying link easier to share on social and even easier to remember. 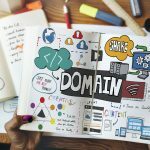 Since your domain name is an integral part of your overall brand, it’s important to use it while you own it – don’t let it sit there! Having your domain name redirect to one of these easy-to-use channels is a smart way to market your brand and build a brand. If this is your main medium for communicating your business needs, then this solution is perfect! 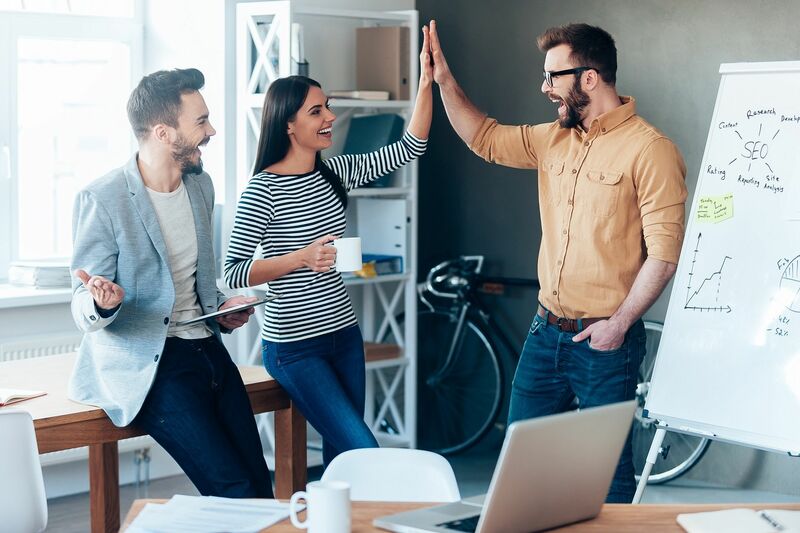 Many business owners rely solely on one channel for their marketing and to connect with customers and don’t require full websites. If you end up realizing that you need a proper website to better explain your product or market your business, then at least your domain name is ready for you for when you’re finally able to go live.